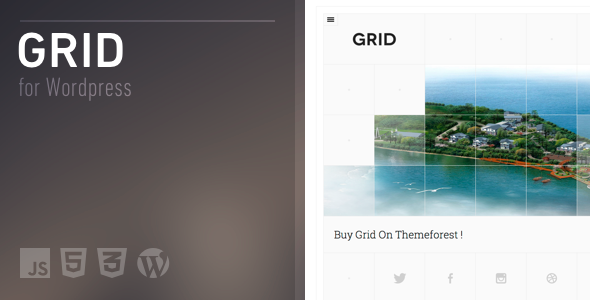 Grid is a pure minimal theme designed within a squares grid. Grid makes no assumptions of your content and let you design your pages with a powerful page builder, you can choose from 13 layout elements, you can also personalize every square in the layout. Grid comes with a unique system which prevent the browser reload when you switch section. Item Reviewed: Page Builder: Create Your Unique Page Layout Theme 9 out of 10 based on 10 ratings. 9 user reviews.